I came across this quote the other day in the book The New Influencers and wonder if it applies to the world of both wine marketing and wine enjoyment. My wonder is, if the quote holds true for wine, how should the world of wine marketing engage to be part of this? For the consumer knowing that the selection in their favorite store is only part of the picture, where do they go for information and who do they trust as their adviser’s? 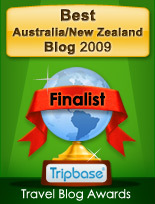 Today is a new day, the goal of this blog to share and exchange thoughts on New Zealand food, wine and travel. I want this to be about the unique aspects of New Zealand and why it is special in most peoples hearts and minds. The reasons are many and by having this available more people will grow their awareness of this wonderful country and in doing so expand their enjoyment of New Zealand foods, wines and travel opportunities. I do not want this to be just another place where wine ratings or flavor profiles are regurgitated, there are plenty of print publications and other on line forums that do an excellent job of this. I feel, if we can initiate a conversation that shares thoughts and encourages exploration we all win. I truly believe it is a positive step as more people learn to make their own wine decisions by trusting a few selected wine merchants and sommeliers and ultimately their own palates. Good background information will provide a wonderful map to go exploring with. After all, this is the joy of food, wine and special places. Where the table, the glasses, friends, fun foods and the scenic vistas all come together to create the magic…. Something that is often missing when we rely on others to tell us what and why something is special. By being part of the process we create the opportunity to experience the joy more often. Where the journey goes, only the journey knows, but for now, let us know what you think. Have a idea to share, leave a comment or send me an email and I will set you up as a guest author.